Torrent, well the name may sound a bit illegal but it is the prime destination to find any and every stuff available on the Internet. Though it has been banned from several countries, many other sites always pop up with some proxy and just make things easier. People, who live in those countries where torrent has been completely banned, have become much smarter. They use VPNs to hide their origin and ease things to download their favourite stuff from the Internet. For Mac OS, security issues are more important than Windows or any other OS. So, accessing the right torrent site for gaining access to a library of huge digital content on your Mac might just be confusing. Due to illegal issues, some of the major torrent sites get unavailable or blocked for a long time. So, what to do then? To bring an end to this, we have handpicked the best 10 torrent sites from which you may download your favourite stuff easily on your Mac. 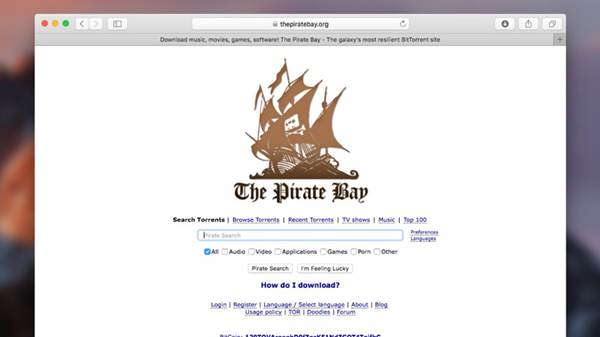 The Pirate Bay is one of the oldest torrent sites for Mac OS, which provides us with the best content – from movie to music or from games to applications. They do have a huge library of digital content for users to download. Though last year the website did not receive that great amount of traffic, it is now backing again with its original.org domain name. At the Pirate Bay torrent site, 5 million of unique users download games, videos, movies, software, music, etc. The stats state that about 44% of content is TV and movies. 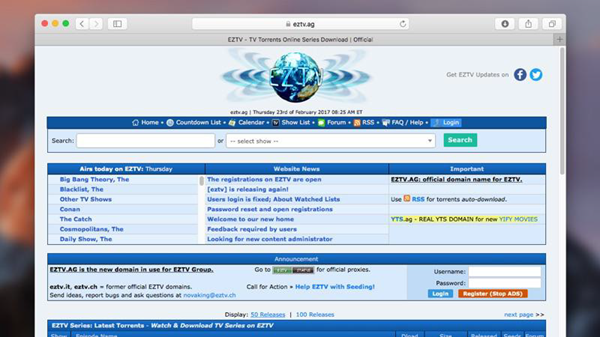 EZTV is one of most popular television shows resource owned by the EZTV Group. The Eztv.it & eztv.ch are the formal official EZTV domains. Currently the site is easy to navigate, but it has a lot of advertisements on it which makes the UI bad. You can search the name of your favourite show, and the best shows can also be chosen from the drop down menu, which is truly huge. Another great thing about the site is that, the content is refreshed constantly, new season and episodes of shows appear almost right after a show has been aired or so. Demonoid is a popular Mac torrenting site that has been serving up torrents since 2003 and is still going strong. The site includes file-sharing related discussion forums and a searchable index for the tracker. It also has advanced features that help avoid fake torrent. After undergoing intermittent periods of extended downtime, the site now is working in a full-fledged condition. 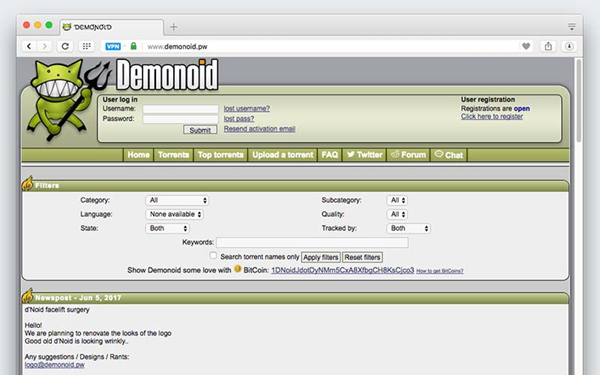 Demonoid now has open registrations for its users most of the time. RARBG is another torrent site for Mac that was founded back in 2008. The site started out as a Bulgarian torrent tracker and is now available in English. It provides you with torrent files and magnet links to facilitate peer-to-peer file sharing using the Bit Torrent protocol. RARBG has some of the latest movies and television series for you to download and you always get refreshed content. The website had an Alexa rank of 280 during 2016 and it features around 700,000 torrents for free for about 500,000 users. IsoHunt.to is the IsoHunt.com successor that gives users access to browse, search, download or upload torrents of various digital content of mostly entertainment genre. The old version of the site was among the most popular torrent search resource with over thousands of files being added every day. 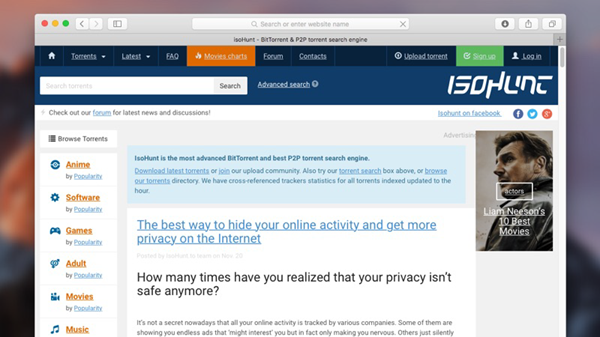 The new IsoHunt.to rightly proves to be on top of the best free torrent sites for MacOS. 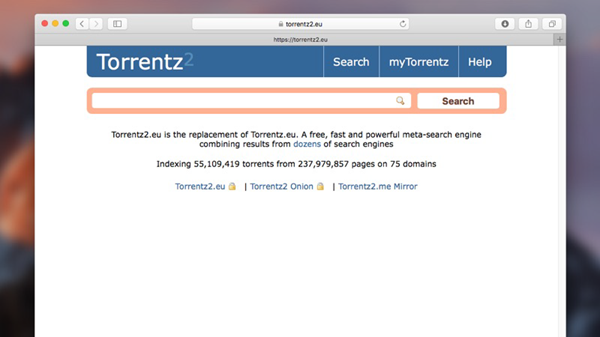 Torrentz2 is another substitute for the famous Torrentz.eu torrent resource that was voluntarily shut down last summer. Unlike others, it actually redirects visitors to around 32 million active torrent trackers from 126,582,915 pages on 26 domains. It works like Google to specifically search other torrents. Torrentz2 positions itself as the new and improved resource than its predecessor, offering search through over 60 different torrent sites. 1337X has been a treasure of digital content since it has been established. Well, according to the TorrentFreak news blog, 1337x is the third most popular torrent website as of 2018. Originally the 1337X was located on .org and now it can be found on .to domain. 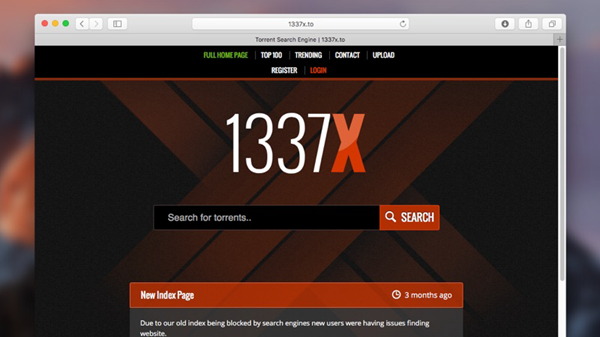 1337x torrent site has a huge collection including software, movie, games, television series and much more. TorrentFunk is the best known torrent site for its verified torrent content, that is really hard to find. The site even offers files that are trusted by other downloaders and intact are free from malware and viruses. TorrentFunk is a globally visited and has an Alexa Global Rank of 7000. You can find torrents segregated into categories, such as television, games, movies, music, software, anime, and much more. Torrent Downloads was originally founded on 2011 and it continues to gain traffic to become one of the biggest torrent sites. This torrent resource can even be accessed from Mac offers great quality content of several categories like television shows, movies, games, anime, software, books and others. The homepage of the site features the latest & the most popular torrents with seed and leech statistics. Lime Torrent has been in the business for about several years. It is famous for its huge database and quality. This torrent site offers some of the best BitTorrent content for movies, software, games, anime movies, and much more. If you find that your favourite torrent site cannot be accessed, then using torrent proxies or mirror sites will be of great help. Well, we hope that by now you have gained access to your favourite torrent site and started downloading your favourite TV shows, games, applications, movies and all other stuff right on your Mac OS computer.